Product prices and availability are accurate as of 2019-04-06 16:32:33 EDT and are subject to change. Any price and availability information displayed on http://www.amazon.com/ at the time of purchase will apply to the purchase of this product. 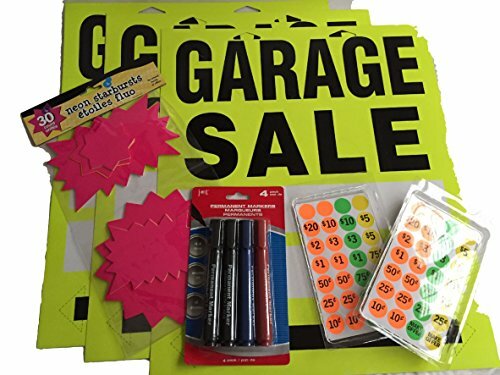 Time to kick start your Garage Sale planning with this all in one bundle of 7 Garage Sale items. 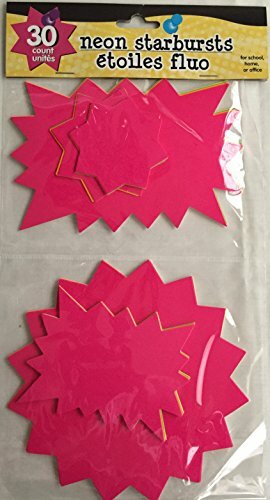 3 Signs 17" x 14", 840 price labels, 30 Neon Pink Star Burst Attention Getters, set 4 permanent markers. Signs are one sided, area for hanging at the top and directional arrows that can be filled in to show people which way to go. Price label are re-peel able and can stick to toys, clothes and tools! Use the star burst to get buyers attention to your specialty items. 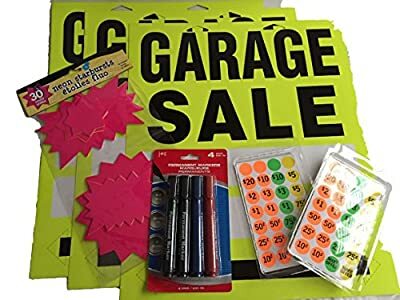 Includes a tips sheet on how to advertise for your garage sale. Its Garage Sale time of the year. Here is an all in one set of 3 signs. Now you have a sign for each direction along with one in front of your yard. Neon Yellow sign is sized just right to be seen, 17" x 14". Garage Sale is only on one side, directional arrows to be filled in. 840 Price Labels to ensure you have more than enough to tag all your items. 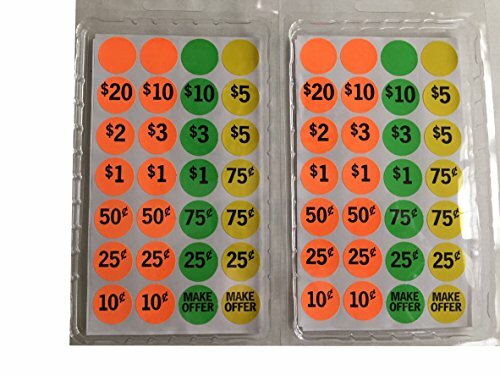 Easy stick tags that work on toys as well as tools! Includes blank tags to write your own prices on them. Star Burst Neon Pink - Heavy Poster board thickness, Attention Getters for your prized items! Well you can use them for anything you want people to see. Markers to write on your sign, permanent black, blue and red makers in a 4 pc pkg. Includes a quick reference tips to advertising.